The 2018 ICD-10-CM codes are to be used from October 1, 2017 through September 30, 2018. Note: This replaces the FY 2017 release. These files listed below represent the FY 2018 ICD-10-CM. 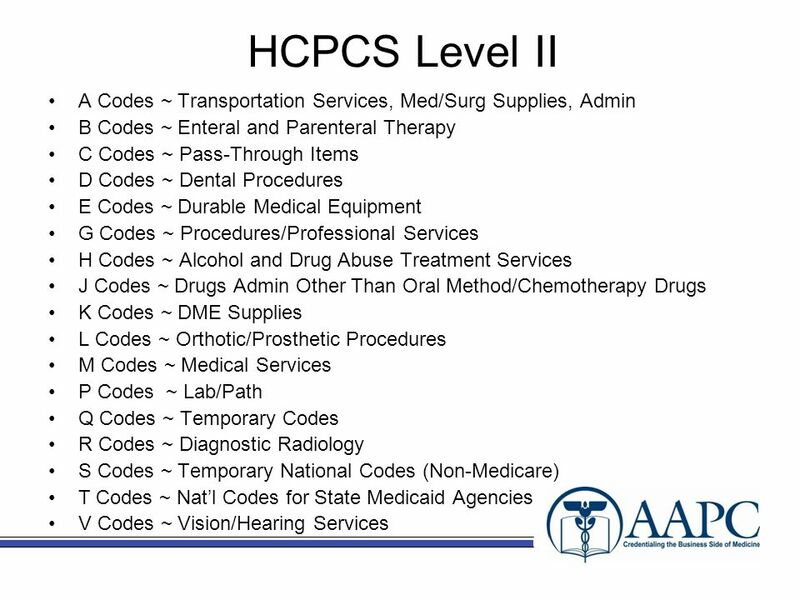 The HCPCS Level II code set is one of the standard code sets used by medical coders and billers for this purpose and is comprised of alphanumeric medical procedure codes used for reporting and billing non-physician services.